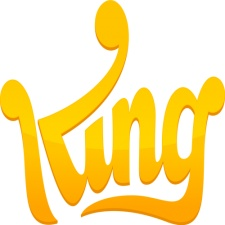 Candy Crush developer King has become the first UK games company to sign the Tech Talent Charter in a move to address gender imbalance in technology roles. The Tech Talent Charter was set up to drive diversity in the workforce. The project was recently given the accolade of ‘Diversity Initiative of the Year’ at the Women in IT Awards. King noted that the national UK average for female workers is 45 per cent. In the games industry however it claimed this figure drops to 19 per cent. The number decreases to 17 per cent when it comes to IT and technology firms. Signing up to the Tech Talent Charter means King has pledged to help improve industry diversity and support the “recruitment and retention of diverse talent”. “We are so proud to become the first games company to sign up to the Tech Talent Charter,” said King director of global diversity and inclusion Joyce Adeluwoye-Adams. “This new commitment enables us to work alongside other like-minded organisations to drive meaningful change and shift the dial on diversity and inclusion in the workplace. It’s important for the sustainability of our industry that we collectively encourage more diverse talent to consider a career in the industry, in a supportive environment, with opportunities to succeed.